WHAT IS IT? As I said, I don’t own yellow nail polish. The closest to yellow I have is gold. And you know you can do much with gold. 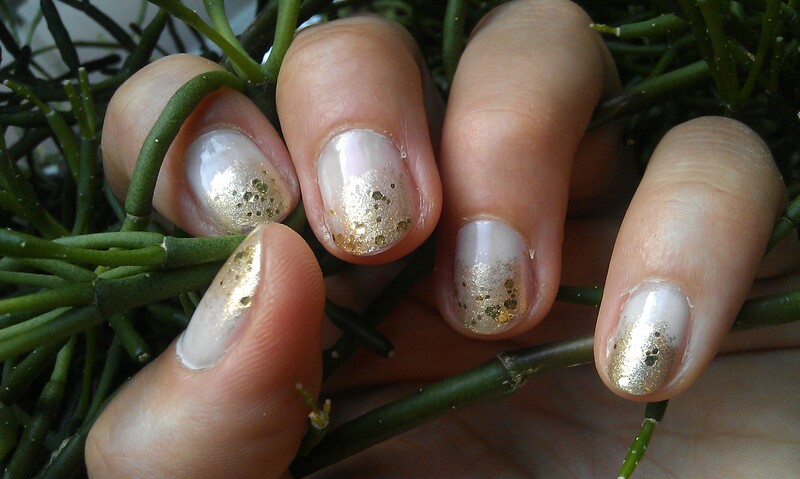 So I made glittery ombre nails and now they looked like dipped in gold (really hard to take a picture of though). WHAT IS USED? I used two layers of milky white limo-scene from essie as a base and then sponged on some gold polish (650 Goldfinger, Catrice) on the tips of my nails. Topping this off with my favourite golden glitter polish (67 make it golden from essence – I think unfortunate they don’t make that one anymore). 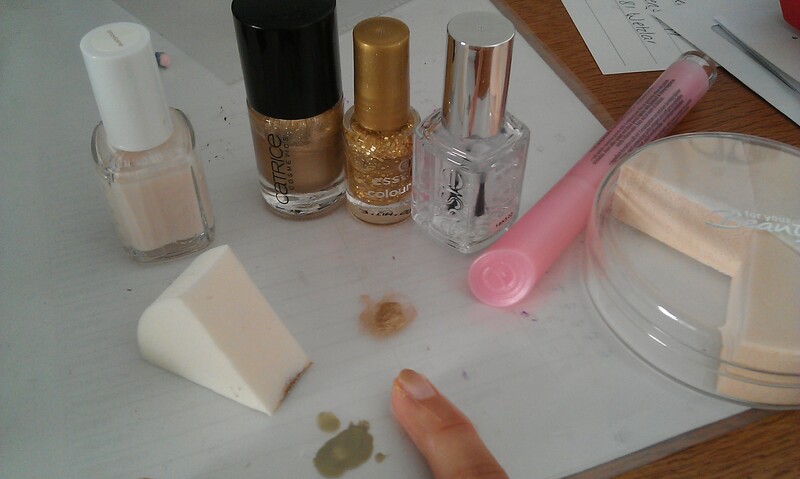 To fix everything and smoothen the touch I used essie’s topcoat Good to go. HOW DOES IT FEEL? It feels great. I absolutely love the look. Glittery and sparkly and yet very low key and elegant. Plus this mani can take a bit of tip wear and chipping before you notice and it is easy to repair. The sponged on gold can be replaced easily with out leaving marks. This entry was posted in Nail Art and tagged 31 day nail challenge, Catrice, essence, essie, glitter, limo-scene, make it golden, Nailpolish by kathatravelling. Bookmark the permalink.